This post was sponsored in part by Premier Protein. Although I was compensated for this post, as always, all thoughts, opinions and sweaty pics belong to me. Now that Little J has finally flown the nest and is settling into Kindergarten, I'm finding myself with a bit of extra time on my hands. Work keeps me fairly busy, but I've been revisiting some resolutions I set for myself at the beginning of the year, most notably my fitness goals. This has been the first year that I've completely fallen off the wagon for as long as I have. Normally I go through a brief period in the Fall, when I just capitulate, and enjoy stuffing my face with all of my favorite cookies and over-indulge in hot coco. And let's not even get started on Thanksgiving and Christmas. It's basically a tradition for me to go nuts over the holidays. But magically by Spring, I've gotten back on track. That didn't happen this year. Blame it on the move or our travel heavy year, but whatever happened, I just haven't been on my game. I'm not terribly upset. Personally I've always felt that fitness is a personal choice, and yes, sometimes life gets in the way. I don't need to preach to the choir that as mothers we sometimes sacrifice in the best way we think we can. This year, fitness was not on my menu. And that's okay. This weekend I had the opportunity to set aside some mommy time and start getting back on that train. Saturday morning, I joined an amazing group of ladies at Midwood Park for a fun group workout led by the fierce Jen DeCurtins of Peanut Butter Runner. 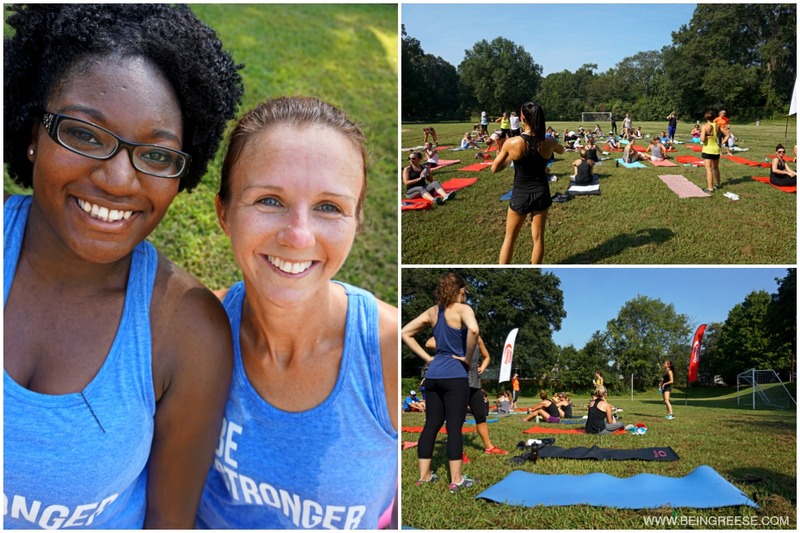 Our sweaty sixty minute session was sponsored by Premier Protein and benefited RunningWorks. It was a no hold barred workout. Which was kind of necessary. 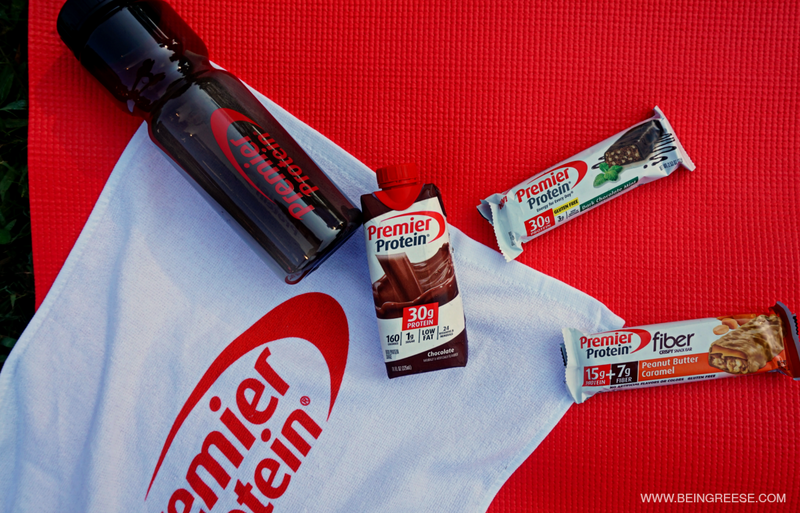 Before our workout, Premier Protein got us all fueled up and ready to go. I had the opportunity to try out their fabulous Chocolate Protein Shake and was pleasantly surprised at how delicious it was. I'm typically not a fan of protein products as they tend to have a chalky taste, but as I discovered the next day after devouring eating the Dark Chocolate Mint Crunch Bar, Premier Protein products give your body a boost without that chalky taste. Even though it was painful, even though I had to do several modified versions of our drills, I never gave up, and I met a few friends in the process. These past few years have been a persistent reminder that it's not always about finishing first, or hurting yourself, sometimes it's just about doing what you can, and then the next day, doing a little bit more. I prefer progress over perfection. Despite what the television would have you believe, perfection isn't attainable. But progression is a by product of being realistic and consistent. That's why I really appreciated Jen's workout style. She took the time to coach, but more importantly, encourage us when we needed it. You'd be surprised how a few simple words can motivate you to keep going. 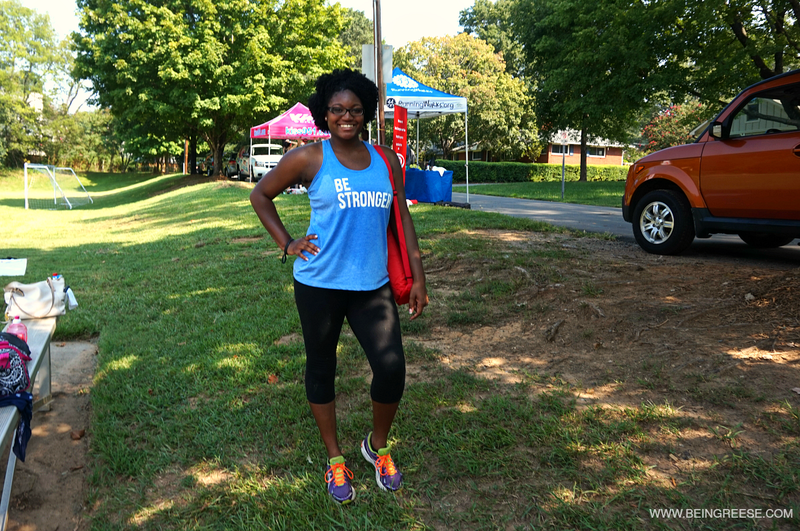 The fact that our workout help to benefit such a great cause was also a powerful motivator. 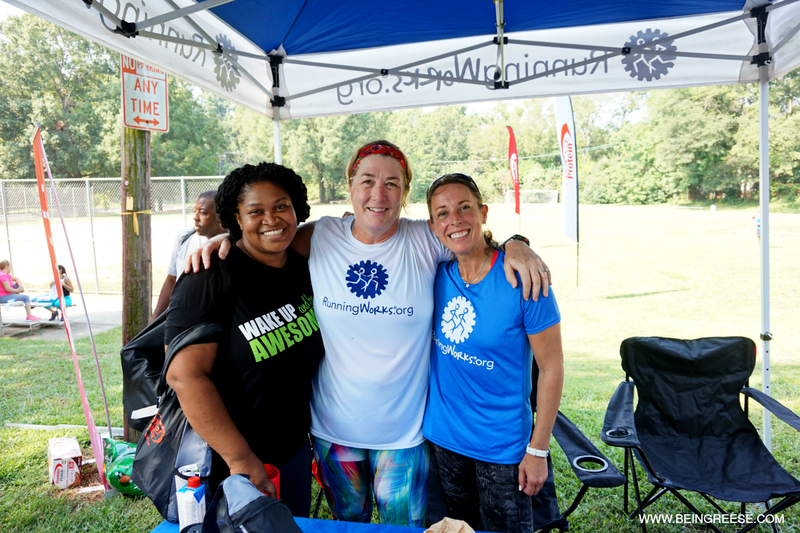 RunningWorks is a non-profit running program founded to use sport to empower individuals and families to break cycles of abuse, neglect, poverty and homelessness - one stride at a time. The ultimate goals of this program are employment and housing. It truly is an incredible program, and I was happy to donate my time (and sweat) to helping them help others. If you're a Charlottean, I encourage you all to stop by the website and learn more about this program. I know many of us have busy schedules, but the best part about this non-profit is that you can literally help others simply by doing something you love--running. If you have questions about Runningworks, or want to get more involved shoot me an email and we'll talk. This looks likw such a fun class! Looks like a blast! Love Premier Protein products! I want to do an outdoor workout now! I want to try an outdoor workout class! Those protein products look great! I hate the chalky protein taste too....ew. I'll have to give this a shot. Just a fantastic way to fuel up! Good job!